Villa Nigra is the Town Hall of Miasino, a gorgeous old village 479 meters above sea level on the eastern side of Lake Orta, among the most charming places sought out for quiet vacations in Northern Italy. In Miasino are numerous elegant 18th century buildings in Baroque style, villas and churches which make up an enormously valuable heritage, among these Villa Nigra, a living testimony to the ancient splendor of this little town which has had many an illustrious personage among its citizens and visitors. The oldest part of Villa Nigra goes back to the end of the 1500’s and faces the main square. It was enlarged between 1681 and 1725: a new wing was added and a double loggia on the first and second floor looking towards the internal court yard. 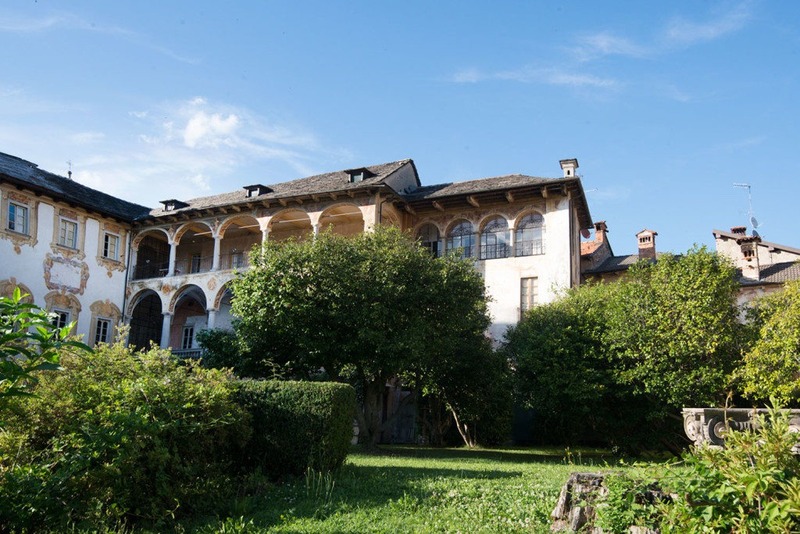 The villa was acquired by the wealthy Nigra family from Sartirana Lomellina halfway through the 1800’s and it was the Architect Carlo Nigra who looked after its restoration. He had already several important projects to his name, among which were the Valentino Castle in Turin, the Church of Miasino and the San Giulio bell tower, and he was also the author of several publications on art. The villa is a building mainly over three floors with a small bell tower atop the small part where there are four storeys. The 17th century part has a loggia with walls facing the inner courtyard which is frescoed to frame the openings of the villa, creating optical effects worthy of note. The garden is south facing and gently sloping. The villa can be visited only on special occasions. Some important personages associated with the history of Miasino: Painter Giuseppe Zanatta (1635-1720), Giovan Battista Cantalupi (1732-1780), Architect and priest Giovanni Antonio Martelli, writers Onorio Guidetti and Matteo Alesina (XVII century).